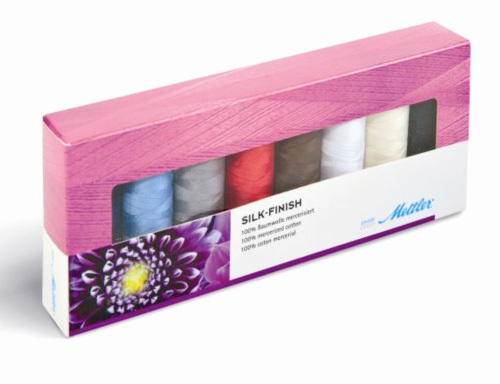 Contains 8 spools of Metrosene Cotton Silk Finish 40 weight Thread. 8 164 yard spools. Colors- 0825, 0350, 0322, 0504, 1002, 2000, 3612, 4000.